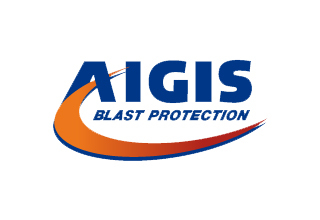 Aigis specialise in protection against explosive blast. Our mission is to design, test and manufacture blast mitigation solutions to help protect people and assets against explosive threats and to help maintain business operational continuity. Over the last 20 years we have developed a range of blast mitigation solutions based on our proprietary material system TABRE™, our knowledge of multi-layer material combinations and our expertise in the physics of blast. TABREShield™ technology is integral to all our well-established products and has the unique capability to absorb and attenuate the lethal effects of explosions. Extremely versatile TABREShield™ technology covers a wide range of solutions ranging from Bomb Containment and Blast Resistant Litter Bins, Ready Use Munitions Containment Units and Anti Mine Boots, to Vehicle Anti Mine Armour and Building Blast Protection. Our bespoke design service caters for those unique blast threats where a standard solution may not apply. If your business is facing a blast threat, contact our technical team today to find a solution. As a new addition to the business, we now provide a full service to design, commission, conduct and report any blast testing requirement needed to validate a blast protection system. Safety, cost and compliance with internationally recognised UN Hazard Classifications and General Mixing Rules are among the most important factors with respect to storing and transporting explosives in a ready state. Aigis’s mine protected footwear is designed to protect soldiers and mine-clearance aid workers from the threat of Anti-Personnel mines (AP mines). Why have Vehicle Anti-Mine Blast Protection?